Hope all php developers are familiar with xampp or wamp. We get all list of folders(all folder in www dir) in wamp . But unfortunate there is no such option in xampp. But I think xampp is much better than xamp in performance. 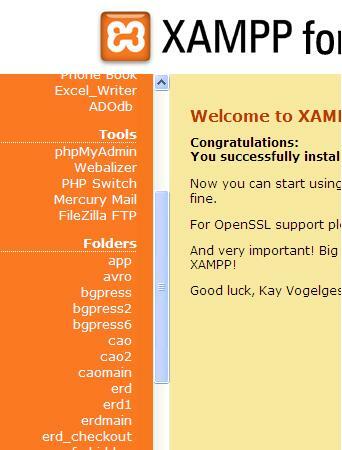 So today I did filled the lacking of xampp.